An Insider’s Look at Botox and Fillers: How Long Do They Last? 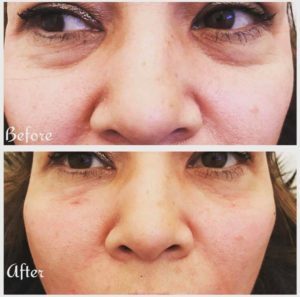 Dermal fillers are designed to help you target areas affected by the aging process, sun damage, and creases caused by years of repetitive facial expressions. Some might think that one filler is the same as the next, but they’d be wrong. Each unique formation addresses specific areas of the face and the concerns that arise in those areas. Here’s information about each product and where it should be injected. These products contain the toxin that causes botulism. Although potentially toxic when ingested in food, when injected into facial muscles it results in a beautifully smooth look. Brands such as Botox®, Xeomin®, and Dysport® work to paralyze treated muscles so that certain facial movements can be temporarily stopped. Neurotoxins allow a reduction in wrinkles that have formed in the skin above the treated area. For people with deeply etched creases in those areas that are not sufficiently resolved with muscle paralysis, fillers are a great additional treatment option. Areas Treated: Brow area (also called “elevens” between the eyes), crow’s feet around the eyes, and frown lines. These products last between 3-4 months before re-treatment is needed. These creases are formed from smiling year after year. A big, beautiful smile is contagious, but smile lines are bothersome to many people who wish to continue looking like they did in their younger years. These vertical, half-moon-shaped lines from the nostril area to the corners of the mouth can be resolved by using products such as Juvederm®, Belotero®, VOLBELLA®, Sculptra Aesthetic®, Radiesse®, Bellafill® or Restylane®. This is an area that of often one of the first to show signs of aging. Many people develop shallow, dark circles on the eyes or begin to display puffiness just below the lower eyelid. Issues like this are easily helped with fillers such as Juvederm® or Restylane®. As we age, the fat pads in our cheek area shrinks, causing us to look less youthful. If you compare a picture of someone at age 20 to what they look like at age 50, chances are the cheek area is going to be a prominent indicator of volume loss. Thankfully, hyaluronic acid fillers like VOLUMA® XC and Resylane Lyft® are designed especially for this facial concern. The lips are the hottest trend in fillers right now. Vertical lines above the upper lip (also called “lipstick lines”) can be smoothed away with products like Belotero®, Restylane Silk®, and VOLBELLA®. For those wanting more volume in their lips, the best formulas include VOLBELLA® and Juvederm Ultra®. These lines and creases can form after years of smiling. Marionette lines are those that form in the areas between the corner of the mouth and the chin. The recommended products that address this area include Restylane® Refyne, Restylane® Defyne, Juvederm®, and Belotero®. 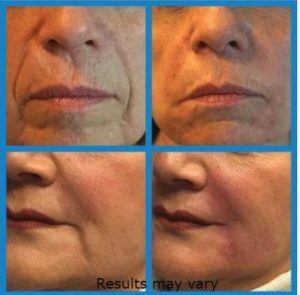 A chin crease can be filled with products such as Radiesse®, Restylane®, Juvederm®, or Belotero®. 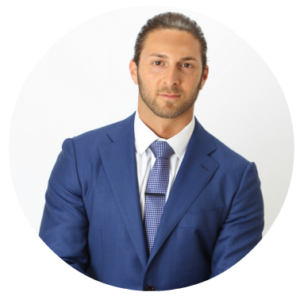 James Christian Sardelli, RPA-C has over a decade of experience providing a gentle touch and beautiful results to clients in Long Island and New York City. With offices in West Sayville, Westhampton Beach, Farmingdale, Manhattan, Commack, Rockville Centre, and Huntington, he’s just a short drive away for most people in Suffolk, Nassau, Queens, Bronx, and Brooklyn County. Call James Christian Cosmetics Monday through Friday from 9am to 5pm at (917) 860-3113. *Each product mentioned is owned by its respective registered trademark owner.